Recently work took me to Sault Ste. Marie in Northern Ontario. The temperature dropped quickly during my drive up the Trans-Canada Highway, but the sun was still shining brightly when I arrived in town. In order to make the most of the sunny afternoon, I went on a brisk walk along the boardwalk of the St. Mary’s River. 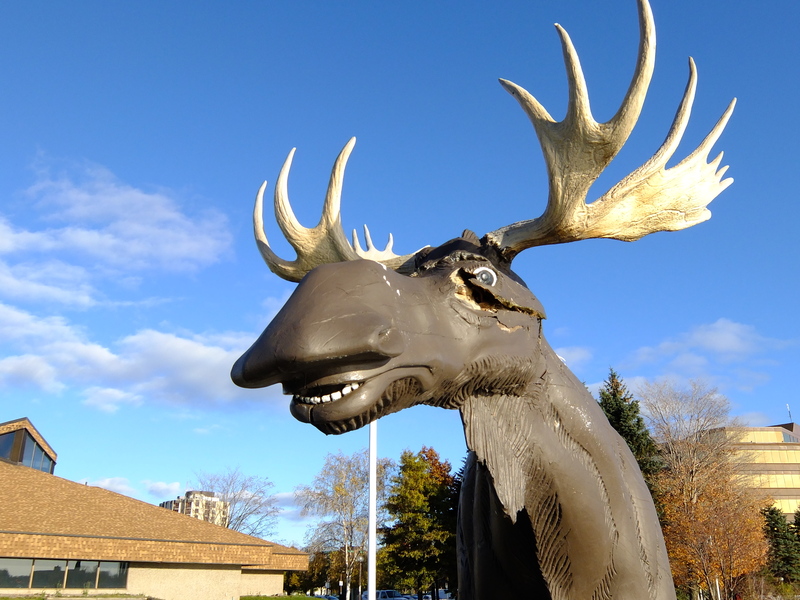 The boardwalk is ranked the second best attraction in Sault Ste. Marie, and I would agree. I was impressed by the scattering of public art on the path that added a dash of culture to the scenic views and quaint waterfront. 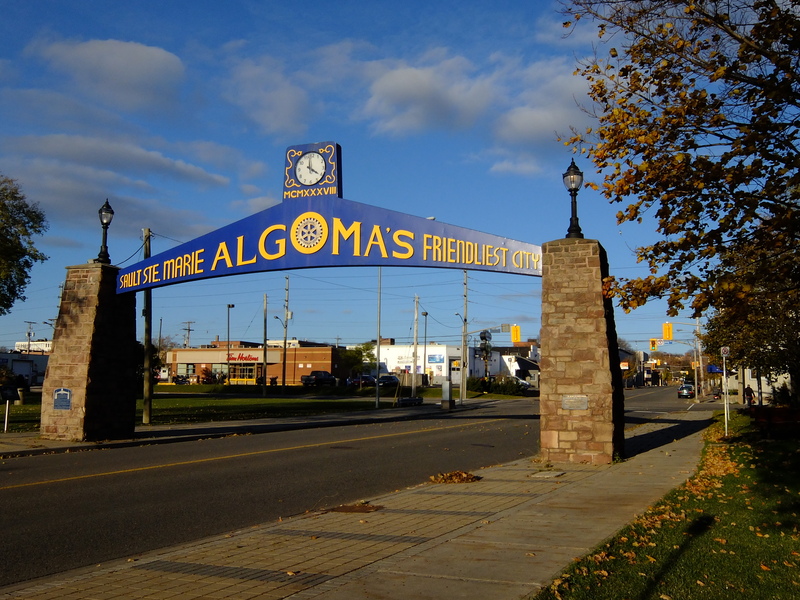 It was an amusing stroll, and the path appropriately lead to the Art Gallery of Algoma. Admission to the gallery was only five dollars and I was more than happy to get a ticket. The Gallery itself was very small with only two active rooms, and a third under renovation, but I still thought it was well worth the money. Each room had it’s own show, and I particularly enjoyed the Group of Seven Awkward Moments exhibit by Diana Thorneycroft. In Thorneycroft’s photo series, she uses famous Canadian paintings as a backdrop for scenes depicted with figurines of hockey players, Winnie the Pooh, Bob and Doug McKenzie and more. The exhibit was mischievous, funny, sometimes dark, and like nothing I had seen before. ← Hopewell, New Brunswick and The smallest post office I have ever seen!